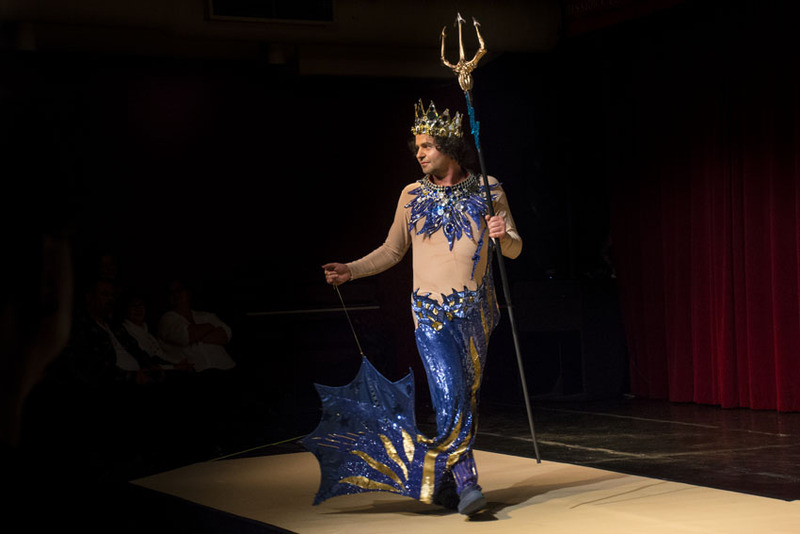 Poseidon sashayed down the runway to the sound of salsa Saturday as the Mission Cultural Center for Latino Arts kicked off its 40th anniversary celebration. 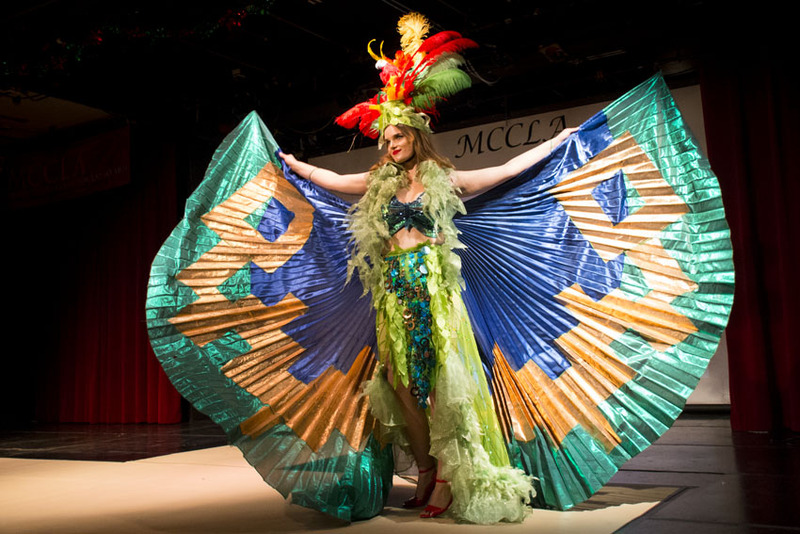 The show, titled “5 Continents of Fashion and Fantasy,” paraded a string of historical, international and Carnaval themed pieces by Salvadoran costume designer Mario Chacón. “Fashion is something we dismiss, sometimes people tend to think that it may be vain, but it’s another artistic discipline, one that requires a lot of technique and knowledge,” said Jennie Rodriguez, executive director of the cultural center at 2868 Mission St.
Chacón, who initially studied architecture in El Salvador, later studied costume design at the City College of Los Angeles. His interest in fashion, however, began much earlier. Chacón’s father, a Salvadoran diplomat, traveled frequently and the family lived around the world including stints in Washington D.C., Italy, Korea and Panama. Each new country introduced Chacón to a new aesthetic. 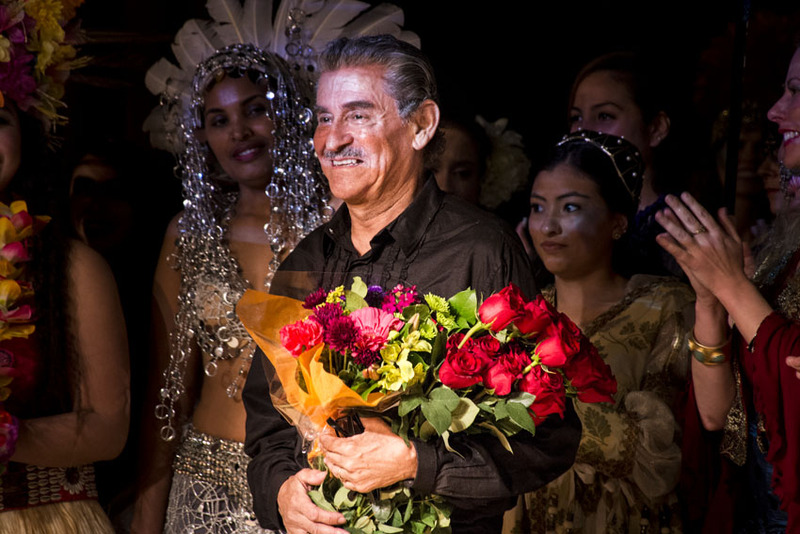 “I like the way people express themselves in the way they dress,” said Chacón amidst a flurry of grateful models eager to kiss his cheek. The models, many of whom stayed in costume for the reception, were all volunteers. Students and instructors from Edison Charter Academy and members of the YWCA dressed up alongside volunteers from the community to exhibit Chacón’s art. Even board members of the MCCLA appeared on the runway. Stepping out to the cheers and whoops of the crowd, the models grinned and twirled. One had a pink polka dot dress with frills so big she had to kick and pirouette down the runway. Chacón’s costumes mirrored the diversity of the models who wore them. Whether teen or tenured, each model payed tribute to the mélange of Mission residents. “That’s what I like, working with the community,” said Chacón. Pilar Stinson, one of over 70 models, became involved at the request of “a friend of a friend.” She wore a black dress paired with a rigid, bat-wing inspired cape spotted with dragonflies. “When you get to wear something like this you feel like a piece of art,” she said. “Everything inspires me, just being alive and being curious,” said Chacón . Before designing costumes, the designer made custom piñatas in the Mission. It was Chacón’s husband, Thomas Joubert, who encouraged Chacón to take the leap and begin working with fashion 23 years ago. Since then the designer has been exhibited in the De Young Museum, El Salvador in Santa Tecla, and is on permanent display in San Salvador. Chacón also designs the majority of costumes used by the the cultural center’s Carnaval contingent. 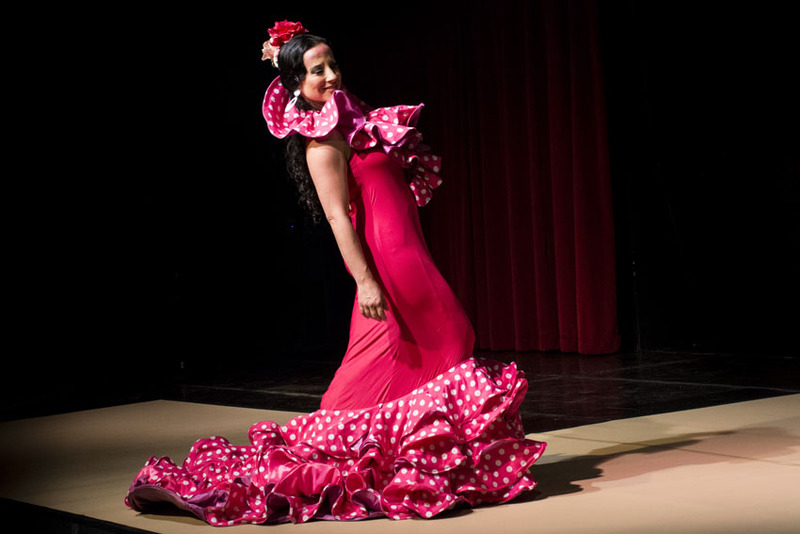 The center, established in 1977, promotes, preserves and develops Latino cultural arts. The show held a raffle for a trip to Jamaica among other prizes to raise funds for Carnaval. The center’s next event, “Luna Negra,” will be held on March 22. The show will celebrate a night of music, dancing and poetry performed solely by women in celebration of women’s month. The event is in its thirteenth year. Chacón, who was present when the cultural center first opened, hopes to return for another show, this time bringing only historical pieces to the runway.